Campaigns raise fear of bigotry and anti-Semitism. Where does the truth lie with regard to Clinton and Trump's attitudes towards Jews and Israel? As the 2016 presidential season heats up, Jewish Democrats are elevating partisan politics over concern for Israel and distorting their party’s and Hillary Clinton’s record on the Jewish State. They dismiss Donald Trump as unqualified, and in order to dissuade Jews from voting Republican have accused him of arousing populist anti-Semitism. Trump’s bombast and lack of experience may well be legitimate concerns, but Democrats who accuse him of anti-Semitism conveniently ignore the hatred for Jews and Israel that has become common on the left and in their own party. 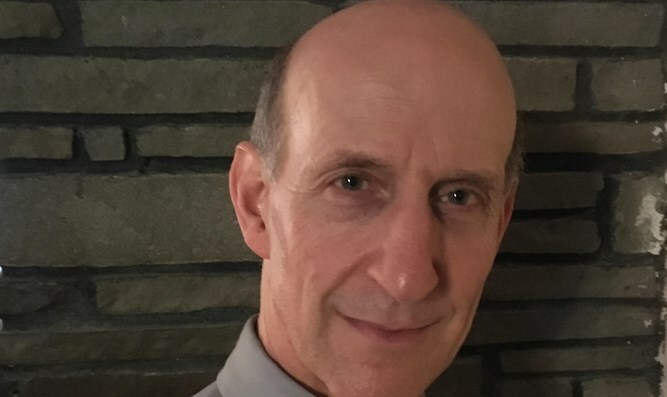 Those who defend BDS activism as political speech and indulge false accusations of Israeli apartheid should look in the mirror before wielding the fear of anti-Semitism as a political weapon. Progressive Jews are oblivious to anti-Semitism when it comes from the left, and sometimes they are complicit. 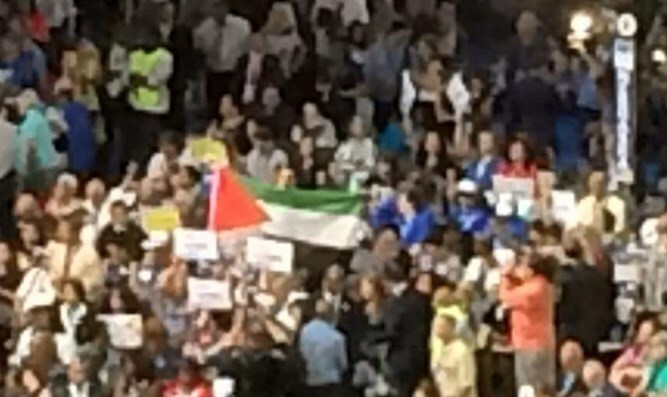 During the Democratic National Convention they tolerated the presence of BDS supporters – including Cornell West and James Zogby – on the platform committee, ignored chants of “the intifada lives” by hostile crowds who burned Israeli flags just outside the convention center, and overlooked anti-Israel comments by Palestinian flag-wavers. None of this should be surprising given their unwavering support for Barack Obama – a president who’s had longstanding relationships with anti-Semites, who has shamelessly demonized Prime Minister Netanyahu using classical tropes, and whose policies have empowered Islamists, undermined Israel and enabled Iran’s nuclear ambitions. Partisan blindness has compromised their moral authority to accuse anyone of anti-Semitism by association. Yes, some outlying Trump supporters have posted anti-Semitic drivel on social media, and it’s despicable and inexcusable. But is it any more so than the malevolent comments found over the years on progressive websites like the Daily Kos or the anti-Israel fanaticism displayed at the DNC? Or the Jew-hatred fueling the BDS and Israel Apartheid Week movements? Or the Democrats’ embrace of a revisionist Palestinian narrative that repudiates Jewish history and denies the Temple ever stood in Jerusalem? It seems ironic that liberals who accuse Trump of bigotry would overlook the rampant, sometimes violent anti-Semitism roiling the progressive movement. They are certainly free to attack Trump’s candidacy, but it is disingenuous to claim they are motivated by fear of anti-Semitism or concern for Israel. Progressives who assert their Jewishness to excoriate Trump are exemplars of cognitive dissonance. They tout the Democratic Party as a friend of Israel despite the hateful ranting and flag burning at the DNC. And they claim to be guardians against all forms of prejudice while validating the Palestinian Authority, which promotes racist Jew-hatred, and activist groups like Black Lives Matter, which have proclaimed anti-Semitic views. This year’s DNC was marred by vocal disagreement over whether to include pro-Israel planks in the platform, and by hateful commentary regarding Israel from the party’s left-wing. This was not the first time party doctrine was hijacked by bigots, but rather was business as usual. During the 2012 campaign, hatemongers imputed anti-Semitic stereotypes to Israel without fear of sanction. Incongruously, progressives who turn every politically incorrect slight into a “teaching moment” to harangue conservatives about the evils of racism are silent when faced with anti-Jewish calumnies from the left. Ironically, progressive Jews cling to their political beliefs with the same intensity their forebears devoted to traditional observance. Republicans supporting Israel over Palestinians compared to only 33% of liberal Democrats. Progressive support for policies that contravene Jewish values reflects growing cultural illiteracy and the supplanting of traditional beliefs with secular ideologies. It also shows flagging commitment to Jewish self-preservation. Ironically, progressive Jews cling to their political beliefs with the same intensity their forebears devoted to traditional observance. And with this zealotry comes the compulsion to try to persuade other Jews that the left is innately philo-semitic and progressives are good for Israel. But the false symmetry between progressivism and Jewish continuity is to historical reality what pseudoscience is to empiricism. Regarding presidential politics, liberal Jews reflexively tend to support Democratic candidates and claim that doing so is a Jewish imperative. They did so with Obama, despite his long history of consorting with anti-Semites and Israel-bashers, and they do so now with Hillary Clinton, whose record on Israel is dubious at best. Clinton claims many Jewish backers, but they support her because they identify as Democrats first and foremost. Though they naively claim to be guided by traditional values, the agenda they support actually threatens Jewish continuity, accommodates progressive anti-Semitism, and undermines Jewish national claims. They are free to shill for Clinton, but they cannot justify their support by claiming she has an affinity for Israel or Jewish tradition. Those who claim she does cannot explain away her record, which is very troubling indeed. Although Hillary has a knack for saying what liberal Jewish audiences want to hear, her statements do not match her actions or the company she keeps. For four years she served as Secretary of State for a president who is openly hostile and treats Israel like a banana republic. She exacerbated the 2010 Ramat Shlomo crisis by characterizing historically Jewish neighborhoods in Jerusalem as “settlements” and condemning the issuance of building permits there, and she wrongfully chastised Israel for the breakdown in negotiations when the Palestinians walked away from the table. Israel has honored all her commitments under various peace plans, including Oslo, while the Palestinian-Arabs have complied with none. Nevertheless, Clinton has ignored Israel’s unrequited concessions, publicly claiming instead that Israel lacks “generosity” and “empathy” towards Palestinians, and morally equating the murders of Israelis with the deaths of terrorists. Such comments are disingenuous, but consistent with Obama’s revisionist endorsement of Palestinian historicity and portrayal of the PA as moderate. Clinton has also misrepresented Obama’s supposed commitment to preventing the nuclearization of Iran. As Secretary of State, she helped lay the groundwork for a deal under which Iran is continuing its nuclear and ballistic missile programs and using billions of dollars in unfrozen funds to subsidize terrorism – much of it directed at Israel through Hezbollah and Hamas. During her tenure, Clinton also shouldered Obama’s policy of supporting the Muslim Brotherhood and its proxies in Egypt, Libya and Tunisia. Her conduct in Libya enabled the overthrow of Qaddafi and the assumption of power by the very Islamists who overran the Benghazi consulate and killed four Americans. Clinton has also been known on occasion for politically embracing individuals with extreme views. In 2000, for example, she kissed Suha Arafat after a speech in which Arafat accused Israel of polluting Palestinian-Arab land and water with poison gas. And the Clinton Foundation, which is being scrutinized amid claims of corruption, has reportedly taken large donations from Mideast regimes with poor human rights records. Perhaps more troubling, she has in the past voiced support for UN Resolution 16/18, a proposed law that would render criticism of Islam illegal (in contravention of the First Amendment). Nevertheless, Clinton’s campaign misdirects by painting Trump as a bigot, aided by a supportive media that portrays every wave as a Nazi salute and pushes the false narrative of Republican anti-Semitism. The media’s job, however, is to question and report – not advocate. While reporters should investigate any claims of anti-Semitism, they should be equally vested in exposing the hyperbole in allegations disseminated by a candidate whose actions and associations implicate her own biases. Prospective voters may have legitimate concerns about Trump, but fear for Israel and anxiety over his supposed anti-Semitism should not be among them – particularly as Hillary and the Democrats have more troubling records on both counts. Those who end up voting for Hillary should at least admit they are doing so out of party loyalty, not genuine concern for Israel.